Talia has been turning heads wherever she rides cos our neighbors haven't seen such a small girl balancing on a 2 wheeler before. 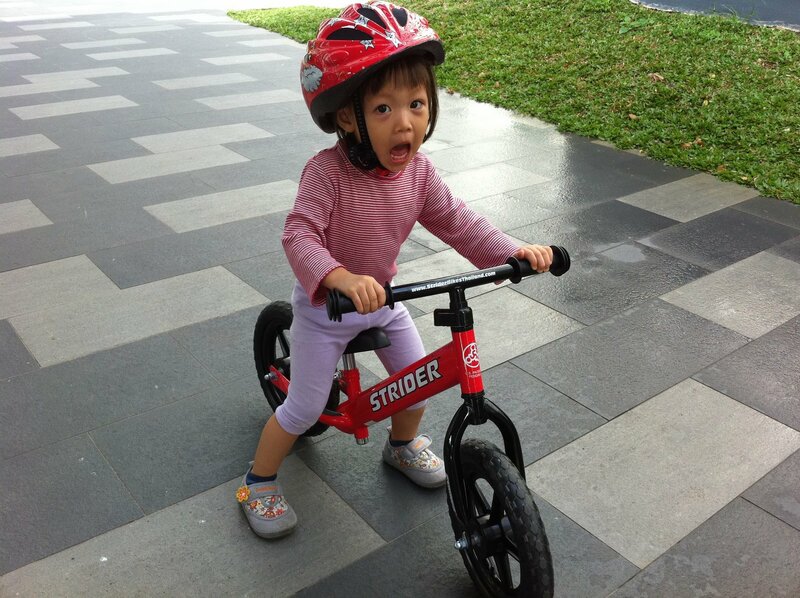 She is just so cute in her helmet and bike. Even though Ethan whizzes by and is very handsome on his bike, Talia still grabs more attention as she scoots along trying catch her brother.